Perfect for toasting at the holiday party! 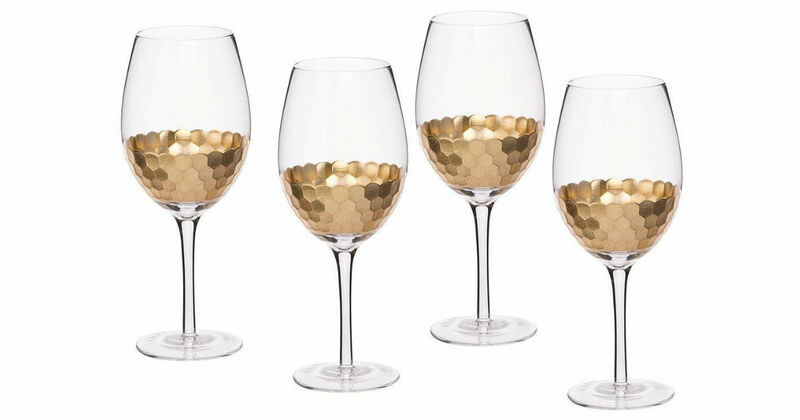 Get this 4-Pack of Gold Plated Wine Glasses for only $19.59 on Amazon, regularly $45.00. Each glass holds 17-ounces and are resistant to chipping, breakage, and shattering. If you are not satisfied, a full refund will be awarded. Prime members receive free shipping, otherwise free shipping starts at $25.